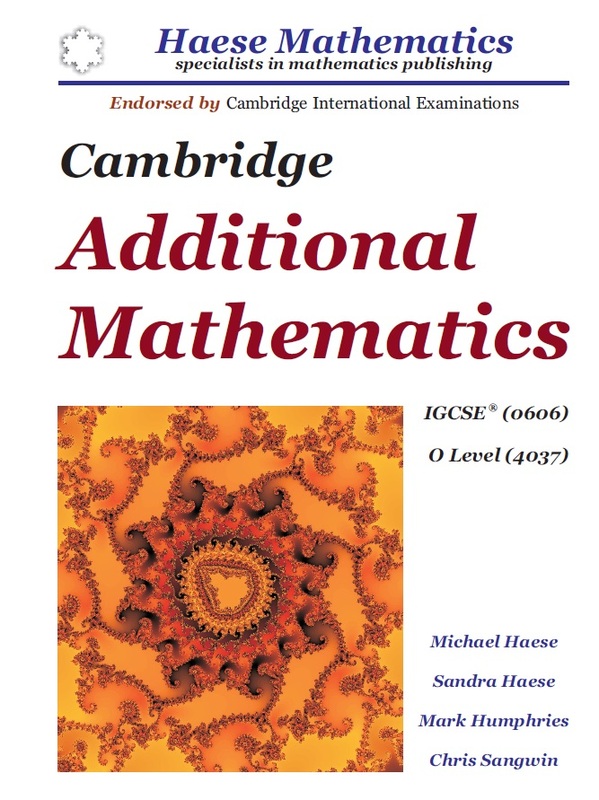 You can download Cambridge additional mathematics IGCSE (0606) O level (4037) by Michael Haese , Sandra Haese , Mark Humphries and Chris Sangwin free in pdf format. This syllabus is intended for high ability learners who have achieved, or are likely to achieve, grade A*, A or B in the Cambridge IGCSE Mathematics examination. Cambridge IGCSE Additional Mathematics enables learners to extend the mathematical skills, knowledge and understanding developed in the Cambridge IGCSE Mathematics course and use skills in the context of more advanced techniques. The syllabus has a Pure Mathematics only content which enables learners to acquire a suitable foundation in mathematics for further study in the subject. 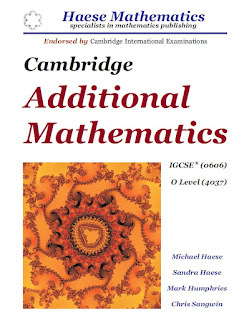 Knowledge of the content of the Cambridge IGCSE Mathematics syllabus (or an equivalent syllabus) is assumed.